14-year-old Andreaz Glasgow — who despite his young age is a self-described ‘serial entrepreneur’ – is set to launch a new business offering fun ‘taste testing’ experiences. 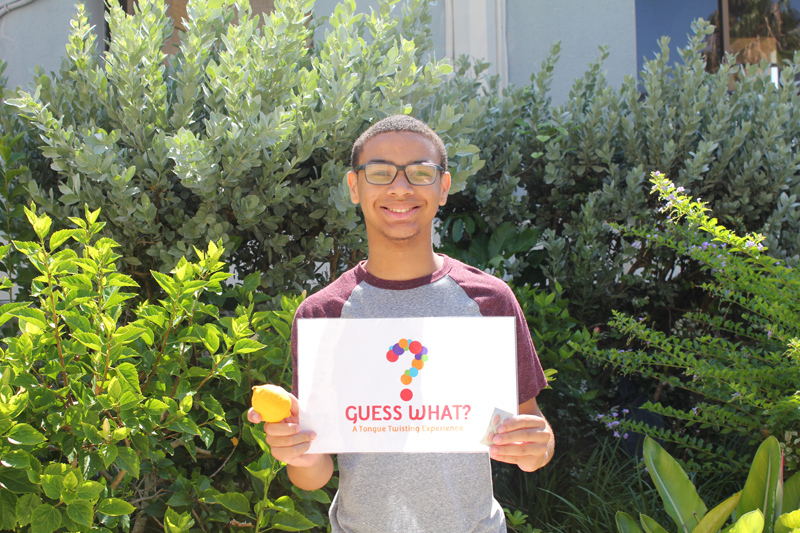 The Berkeley Institute honour student founded ‘Guess What?’ after spotting there was a need for more diverse entertainment options on the Island, and the business is set to officially open soon at the Royal Naval Dockyard. “Usually in the summer time, there are only a few choices for people looking for things to do in Bermuda,” he told Bernews. “In the day they typically head to the beach and in the evening it’s usually about parties or drinking. Mr. Glasgow, from Sandys, made his first foray as an entrepreneur at the age of seven, when he started off selling old DVDs out of his yard. He is currently enrolled in the Bermuda Economic Development Corporation’s [BEDC] Summer Student Entrepreneurship Programme [SSEP] . He explained, “Guess What? is considered a fun and safe activity, in which participants are given a flavour twisting tablet and allowed to sample a variety of foods to see how their taste buds have been altered for a 20 or 30 minute timespan. “Some items that are typically sour/bitter now become sweet. The experience is safe, legal, and based on science. It works when you dissolve the dried fruit tablet on your tongue. The tablet contains Miraculin which is a glycoprotein that temporarily turns off sour/bitter receptors safely and harmlessly,: Mr. Glasgow explained. Guess What? also offers team building and corporate experiences, by providing various trust, relationship and communication building activities, as well as tours and private events. For a full list of services or for more information, visit www.guesswhatbda.com, or call 441-531-6076, and you can also visit their Facebook page.